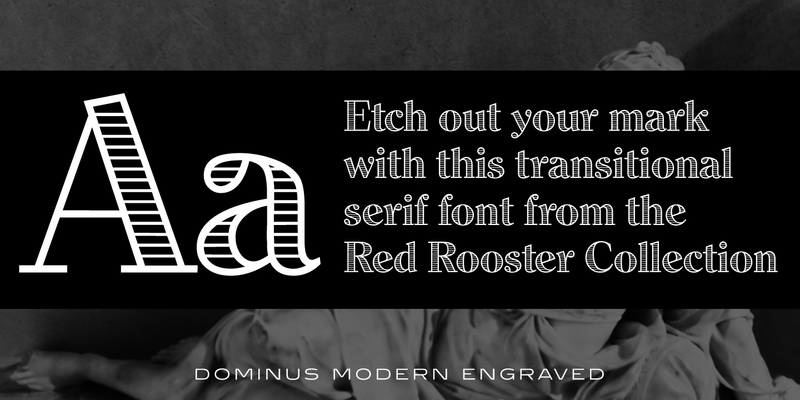 Dominus is a hand-tooled, engraved serif font family. 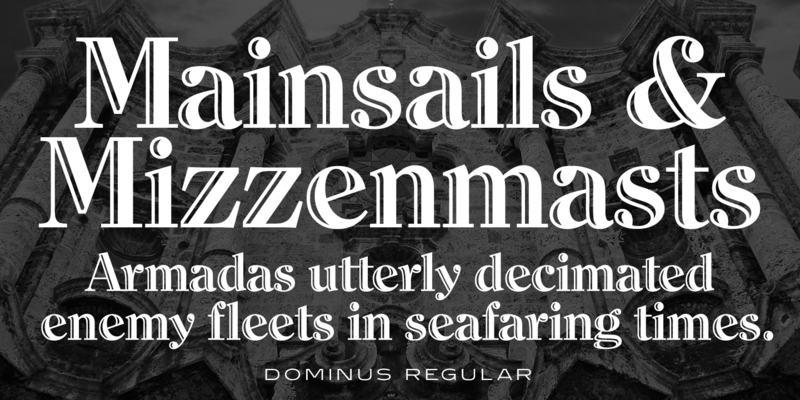 International TypeFounders exclusively licensed the Stephenson Blake Collection, which included Dominus. 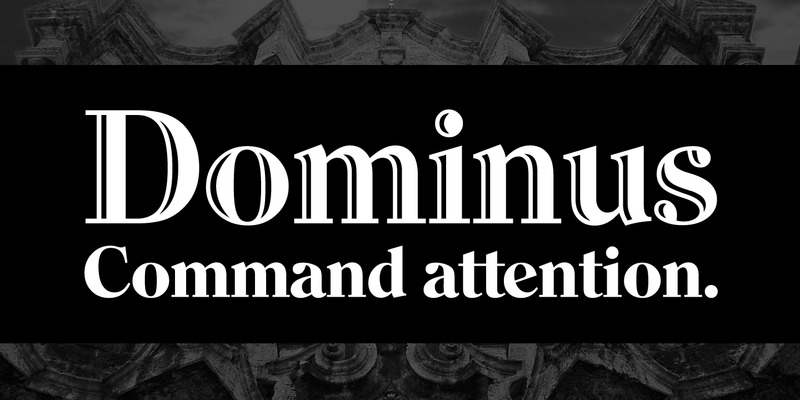 Steve Jackaman (ITF) created three additional weights, expanded the original inline version, and produced the digital version in 1997. 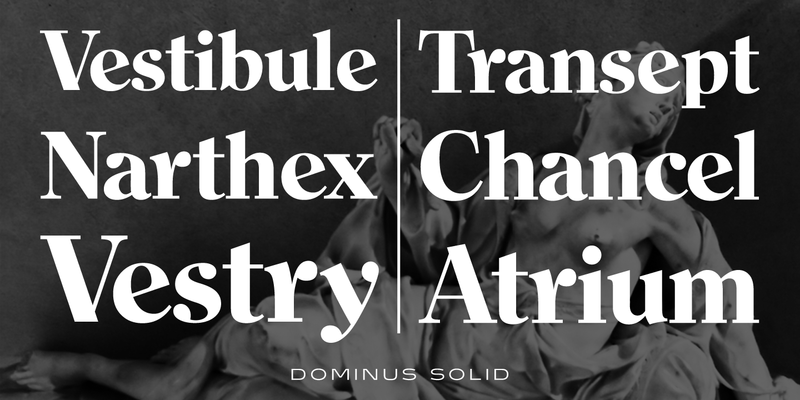 At display and subhead sizes Dominus is visually commanding yet sophisticated, elegant yet powerful, and highly legible. 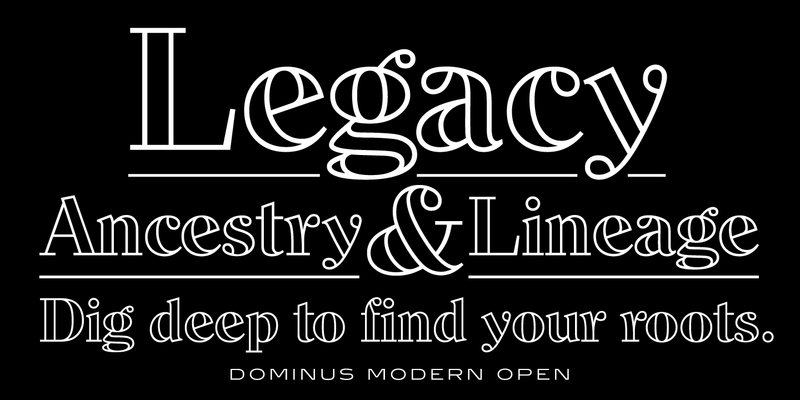 Dominus is a trademark of International TypeFounders, Inc.